Catherine Yelverton is a Wall Street veteran with over 30 years of experience in the global financial markets. As a forward-looking global executive, she has lead credit businesses through all phases of growth. From start-ups to restructuring, Ms. Yelverton is known for identifying opportunity within the dynamic and complex financial markets and leveraging the organizational capacity to capture it. She is a respected team leader admired for her expertise, consensus building and integrity. As the strategic visionary, she has been responsible for setting the overall direction of her businesses, including capital allocation, risk management and organizational processes and procedures. Ms. Yelverton is an effective public speaker and has participated in numerous panels at industry conferences around the world. 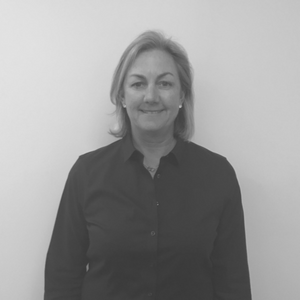 Most recently, Ms. Yelverton returned to New York from London where she was Managing Director and Global Head of Bank Loan Trading at HSBC Bank Plc., a senior member of the Global Credit Risk Management Executive Committee and a senior member of the European Credit Risk Financing Executive Committee. Known as a change agent and someone who can deliver results, Ms. Yelverton was recruited by HSBC in 2011 to build a scalable global trading platform with a focus on revenue generation, return on capital and increasing market share across Europe, the Middle East and Asia. As the strategic leader of the business, she was responsible for setting the overall direction, profile and marketing of the business internally and to the external markets. Prior to HSBC, Ms. Yelverton held executive positions at several financial institutions notably, JP Morgan, Paribas Corporation and ABNAmro Bank. As a co-founding member and former Vice Chairwoman of the LSTA, a trade association whose mission includes promoting public trust and confidence in the syndicated loan industry, Ms. Yelverton played a key role in transforming the trading market by creating best practices and standardized processes for all participants. Ms. Yelverton is a former top 10 nationally ranked tennis player, Hall of Fame inductee at The University of Mississippi and one of their Stories of Character. Ms. Yelverton is an advisor to a New York based Family Office.